Telemedicine billing and reimbursement is still a topic of uncertainty for many in the world of Long Term Care. iDocsWeb offers a free telehealth billing and reimbursement analysis for facilities. 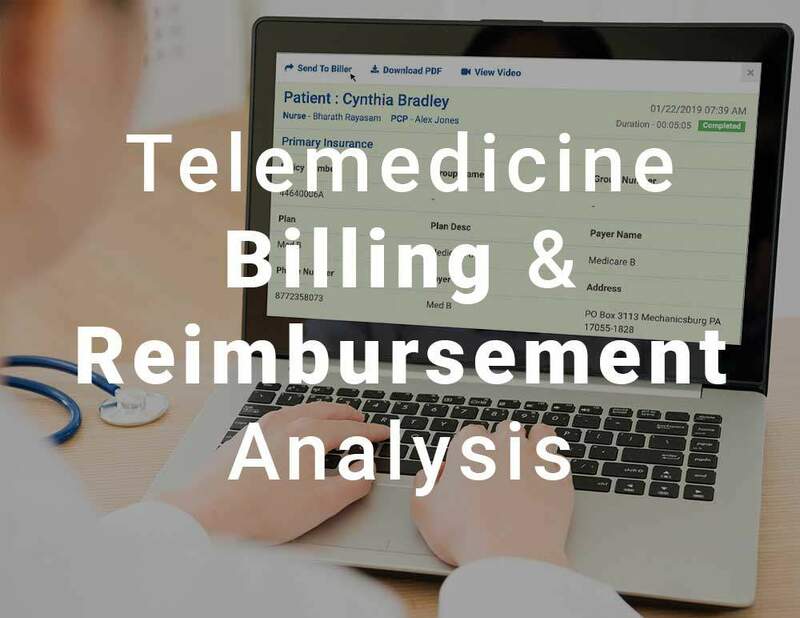 Each analysis includes a comprehensive guide on how to effectively bill for telemedicine reimbursement in your specific location. Please feel free to fill out the form to receive your analysis prepared by telemedicine billing experts! We will analyze Medicare, Medicaid, and Private Payer telehealth reimbursement guidelines including site origination fee collection. Did you know iDocsWeb offers an integrated billing solution? Users are able to record an electronically signed and coded document complete with insurance information pulled from the EMR. This document can then be sent to any biller of choice within the iDocsWeb portal. If you do not wish to use your own biller, we will even handle the billing for you! Telemedicine reimbursement is not only state specific but also dependent on your facility's street address. Did you know certain areas qualify for telemedicine grants? This analysis will search any grants currently available in your area. Find out what pending legislation exists for your location. CPT 99451: Interprofessional telephone/internet/electronic health record assessment and management service provided by a consultative physician including a written report to the patient’s treating/requesting physician or other qualified healthcare professional, 5 or more minutes of medical consultative time (fee approximately $34). CPT 99452: Interprofessional telephone/internet/electronic health record referral service(s) provided by a treating/requesting physician or qualified healthcare professional, 30 minutes (fee approximately $34). CPT 99446: Interprofessional telephone/internet assessment and management service provided by a consultative physician, including a verbal and written report to the patient’s treating/requesting physician or other qualified healthcare professional; 5-10 minutes of medical consultative discussion and review (fee approximately $18). CPT 99447: Same as CPT 99446, except 11-20 minutes (fee approximately $36). CPT 99448: Same as CPT 99446, except 21–30 minutes (fee approximately $54). CPT 99449: Same as CPT 99446, except 31 or more minutes (fee approximately $73).